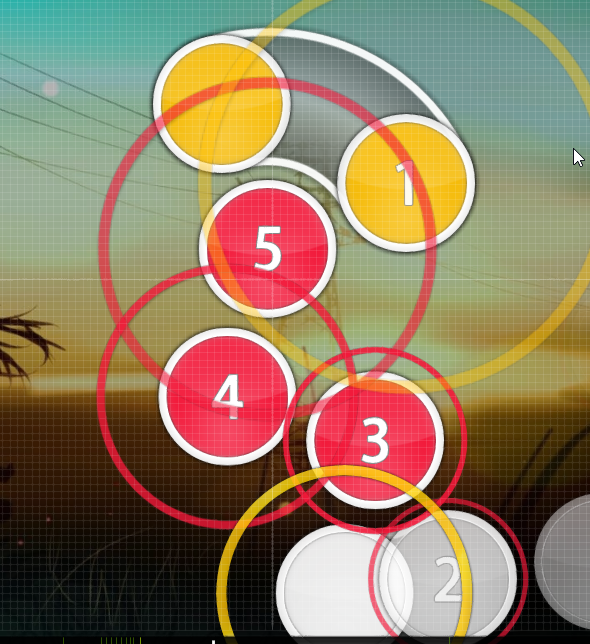 Feint - Watch Me · forums · community | osu! Last edited by Shmiklak June 20, 2017 at 10:02:56 AM GMT , edited 85 times in total. Jumps are inconsistent and the entire part where the drums speed up and eventually turn into a stream is overdone heavily. 21:17 Shmiklak: Ты как считаешь? 21:20 Bakari: Если нет тянущейся ноты, зачем слайдером мапать? 21:22 Bakari: 01:10:932 (1,2) - а знаешь, как это играется? 21:22 Shmiklak: Плохо мягко говоря? 21:23 Shmiklak: а т.е. как я обычно делал да? 21:24 Bakari: А как ты обычно делал? 21:25 Bakari: Что-то на уровне "ну, мы джампы осваиваем"
21:27 Shmiklak: Можешь пояснить как? 21:27 Shmiklak: сильные биты сильнее джамп? 21:28 Shmiklak: запостишь это все? Okay, after 3 monthes break, let's back to the set! Ready for modding guys! 00:35:415 - delete the curve? 01:41:967 (3,4) - kinda low distance, dont you think? 01:05:760 (1,2,3,4,1,2,3,4) - why dont u do a 1/8 buzz slider? 01:17:139 (4,5,6,7) - 01:22:656 (4,5,6,7) - 01:39:208 (4,5,6,7) - etc are completely overmapped. 00:38:519 (3) - some more spacing? 00:43:863 (2,3) - music is a bit different here, consider mapping this somehow else? 00:46:105 (1,2,3,4) - these blankets are extremelly awful. 01:12:656 (2,3,4,5) - well. why did u suddenly decide to lower the spacing like that? seems like you just decided to use some copypasta, so i dont really see any sense to mod it further, since those point applies to next parts as well. 01:33:001 (1,3) - ^^ yea.. well check this pattern, some stacks are slightly off. And tbh i kinda don't like this pattern idea. This note is on one of strong sounds, so this should be more visible expectially on easier diff. 01:27:484 (1,2,3,4) - this angle change is weird, at least make it symmetrical. 01:21:277 (3,2) - This is strange to me, since they are the same in shape and how you use it yet, 01:22:484 (2) - emphasize different sound, i think you should follow some rule for e.g. curved reverse sliders on red ticks and straight on white ticks. Also ctrl+g on this pattern 01:22:484 (2,3) - feels better for me. 00:35:415 (2,3,4) - can you match slider ends? Like making even distance between them or something with more sense. 01:13:174 (5,1) - - and 01:14:553 (5,1) - this should have the same spacing i believe? You should really change jumpy parts, they are inconsistent and tbh are kinda messy. No time. i will finish here. why zo zmall zirclez owo? 01:10:415 (6,7,8) - kinda.. maybe u will lower the spacing between 6 and 7 and increase between 7 and 8? doesnt look cool rn yeah, you are really right! Hmm nothing is offscreen for me. Also about the CS, this is the CS I use in every one of my Hard diffs and I think it's ok. Thanks for looking! 00:33:691 (1,2) - this spacing is too high for a slow part, consider lowering it The slider doesn't need to follow to the end. 00:35:070 (1,2) - not really the best way to put sliders, also this blanket is dedd why ? 01:05:760 (1,2,3,4,1,2,3,4) - why dont u do a 1/8 buzz slider? I used an alternative way. Why not ? 00:26:794 - spinner till 00:33:346 - ? 01:00:243 - why is break blue here? 01:14:381 (5,6) - ну и так далее. 00:26:794 (1,1) - мало времени на рековер в адве. 00:50:243 (1,2,3,1,2,3,1,2,3) - слишком сложный ритм получается. 01:10:932 (1,3) - трап паттерны анранкабельны в адвах. 00:35:760 (3) - it overlaps with this scoremeter down there, lift it a bit. 01:17:312 (3,4,5) - not pretty sure about this pattern. player would rather hit 01:17:656 (5) - cus it seems closer to the 3. 01:18:346 (2,3,4) - idk but the same may happen to this.